Imagine... Your kitchen or bathroom looking like a Pinterest Picture. It is possible. And we can make it happen! Pinterest quality bathroom & kitchen remodeling. We have been doing this for a long time. Our 30 years of experience ensures that you will get quality products and service every time. We are proud to be accredited by the Better Business Bureau with an outstanding A+ reading. What more could you ask for? 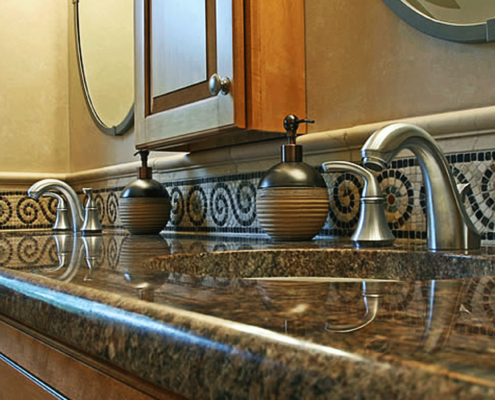 It is no secret that Howard Emmer is one of the most trusted name in Michigan bathroom and kitchen remodeling. You will get 1-on-1 service from Howard every time. We may not be the cheapest option at times, but we always keep competitive pricing as a top priority. This is to ensure that you get maximum value for your project. All of our remodeling and renovation projects come with our two (2) year workmanship warranty to make sure that your project looks new long after the initial install. A quick search online will show that our previous customers loved working with us. We are certain that you will share that same love! 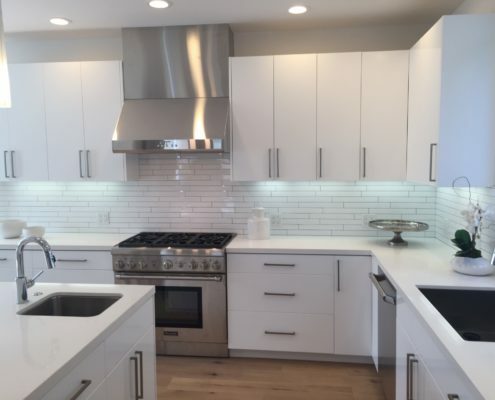 Designs in Glass has been the leading company providing kitchen/bathroom remodeling services and glass shower doors in Michigan for many years! Our seamless and frameless glass shower doors have been proven to be the most sophisticated and elegant shower doors available in today’s bathroom remodeling industry! 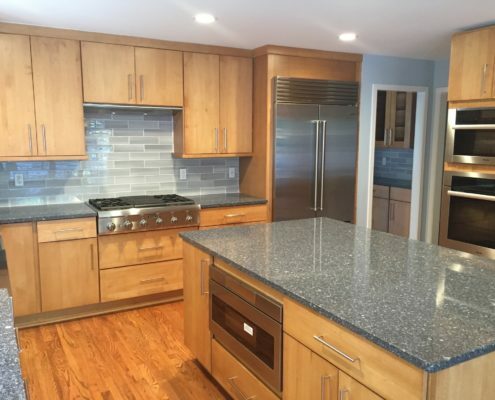 Our custom wood cabinets, granite countertops and and frameless glass shower doors are the key elements that set us apart from other kitchen and bathroom remodeling contractors in Michigan. 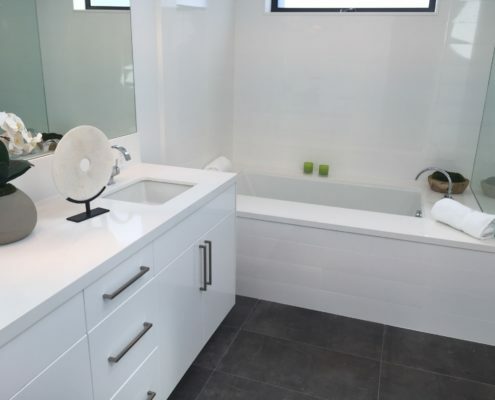 We also install ceramic floor tiling and custom lighting to make your bathroom and kitchen a spectacular room that attracts many comments and attention from your friends and family. Designs in Glass conveniently services a great majority of Southeast Michigan and the Metro Detroit area. Including these counties: Wayne County, Oakland County. Macomb County, Livingston County, Washtenaw County, Lapear County, Genesee County and St. Clair County. 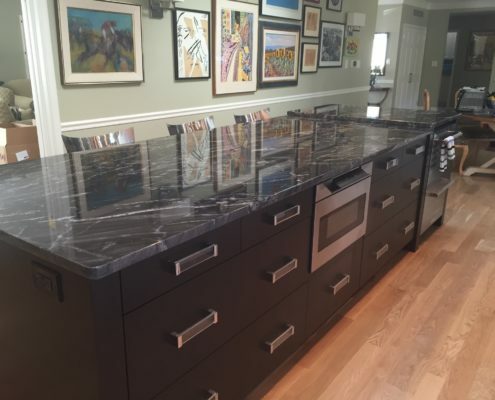 Let us make your next remodeling project a good one by demonstrating our reputation and experience to you. We are ready and waiting to become your kitchen and bathroom remodeling contractors in Michigan! With over 30 years of experience in providing bathroom and kitchen remodeling services. You will receive the quality and assurance that you need when working with a contractor. We take great pride on having a good reputation. In addition to our great rating and accreditation with the Better Business Bureau, we have many happy customers that would love to tell you how great their experience was when working with our company. We warranty all of our workmanship for 2 years. This is to ensure that your remodeling project stays looking new long after the initial installation. 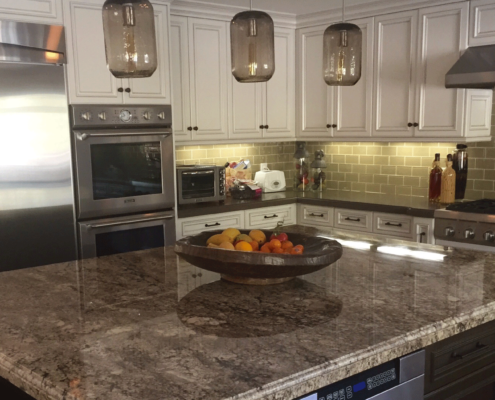 It is no secret that Howard Emmer (owner of Designs in Glass) is one of the leading names in Michigan kitchen & bathroom remodeling. You will get 1-on-1 service from Howard every time!